A lot of people face the ever menacing issue of having to clean stove grate. The fact is, food, grease and other types of spills and buildups will always occur, like it or not. The main question therefore is, how to effectively get rid of stove grate using common cleaning methods. Dirty stove grates are as unappealing as they are unhygienic. Unattended spills and food stains over time build up into unpleasant mounds of grit. These can be particularly hectic to deal with especially if the buildup has sat for a while. 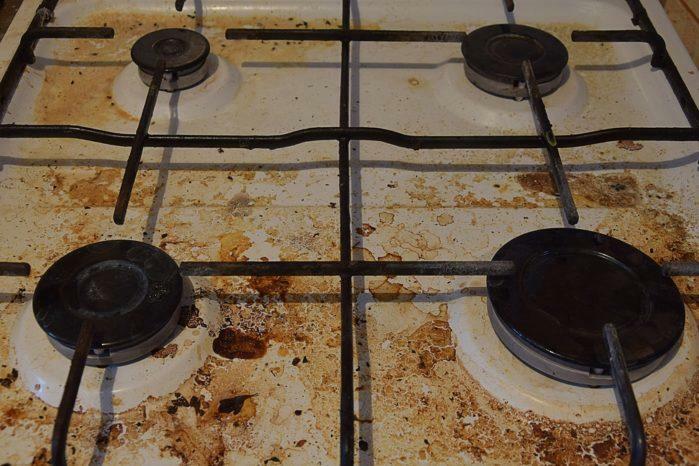 Food, oil spills and grease on a stove's grates can create pungent fumes and odor. If the aim is to have a pleasant cooking experience devoid of any unpleasant smells and sights, frequent stove cleaning should be your number one priority. Depending on the extent of the grate, different methods may be employed in cleaning the same. This article is aimed at exploring the different ways on how to clean stove grates, the supplies you will need for each method and the specifics. Before diving into the nitty gritty of cleaning stove grate, a quick assessment of the extent and state of the grate can offer some insight into whether the task at hand is going to be easy or not. Below is a compilation of the most effective methods known to make grate cleaning a walk in the park. This technique is effective in dealing with tough grate stains. The initial procedure involves washing the burners in lukewarm water and a mild dishwashing detergent. This step removes the top grits layer. Proceed to make a thick paste out of baking soda and water solution. Afterwards, apply an even coat of the soda paste on all burners and affected areas. Leave the baking soda paste to stand for 25 minutes. Using a soft steel-wool pad, scrub the now softened food residue to dislodge any residual hard pieces. Afterwards, rinse thoroughly with clean running tap water. This method is among the most effective DIY means to get rid of stove grit simply and economically. First, spray the affected burners with regular vinegar and set aside for about 15 minutes. After the 15 minutes have elapsed, wipe down the sprayed area with a clean absorbent piece of cloth. It is worth noting that this method is only effective as part of an ongoing stove cleaning regime. Heavier grate might prove a bit tougher to get rid of via this method. 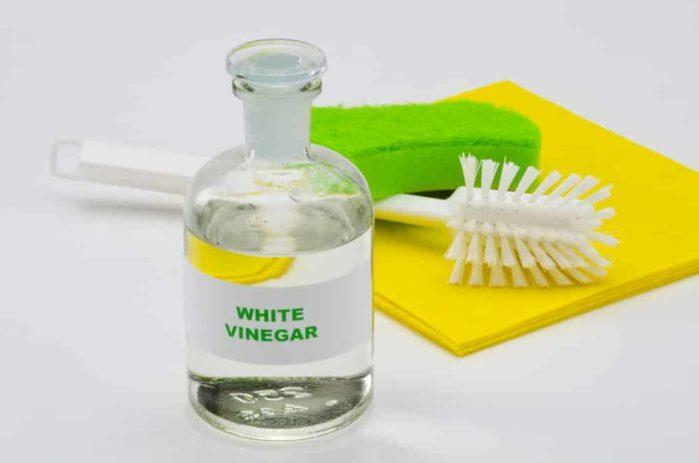 The main advantage to this method is the fact that vinegar is a common household product that is cheap and easy to acquire. That is in comparison with ammonia; a heavier duty cleaning solvent. This method isto most the last resort in cleaning stove grate. 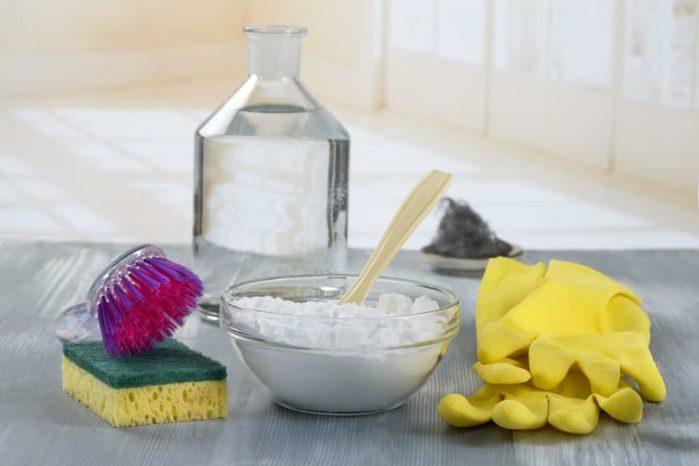 Ammonia is a powerful solvent that cuts right through grate, grease and pretty much any kind of household dirt you throw at it. It is important to take special caution when using Ammonia however; this compound is corrosive and can result in some serious respiratory injuries. This method is suitable for light grate stains. The procedure is quite straightforward and uses basic and home-ready implements to clean stove grate. For starters, boil just enough water to fill a small trough or sink. Dissolve in copious amounts of dishwashing detergent and place the grate-ridden burners in the soapy water. Leave in for about an hour after which the water should have cooled down and is friendly to work with. As always, safety first; ensure you have on a pair of dishwashing gloves. Use a course density steel wire pad to scrub the affected areas. The detergent cuts through the grate allowing easy scrubbing and cleaning. Afterwards, proceed to rinse the stove burners and dry off using a clean piece of cloth. It is recommended to apply a thin film of liquid cooking oil to the newly cleaned stove parts. This prevents the buildup of rust and slows down the subsequent corrosion associated with the same. While working on the stove grate, it is advisable to put on a pair of medium to heavy duty gloves. The reason behind this is because you will be working with harsh chemicals. Chemical burns should be the least of your worries; after all the grit is on the stove not on your hands.Another concern is the fact that water at higher than normal temperatures is also used to clean grate from stoves especially with the detergent and water method. If you are looking for an excellent amenity to help you maintain the cleanliness of your stove, you might want to try the KESWON Gas Stove Burner Covers. Specifically, this one is a type of layer that you affix to the oven before you start cooking. It would protect the cooking ware from common detriments such as dripping residues and grease. After you are done using the stove, you can just quickly peel it. By that time, you will be able to see that the surface of the furnace is still blemish-free! Another good thing about this stove burner cover is that it is dishwasher safe. Unlike most of its counterparts, the KESWON Gas Stove Burner Cover is reusable. Therefore, you can guarantee that you are not generating waste here. 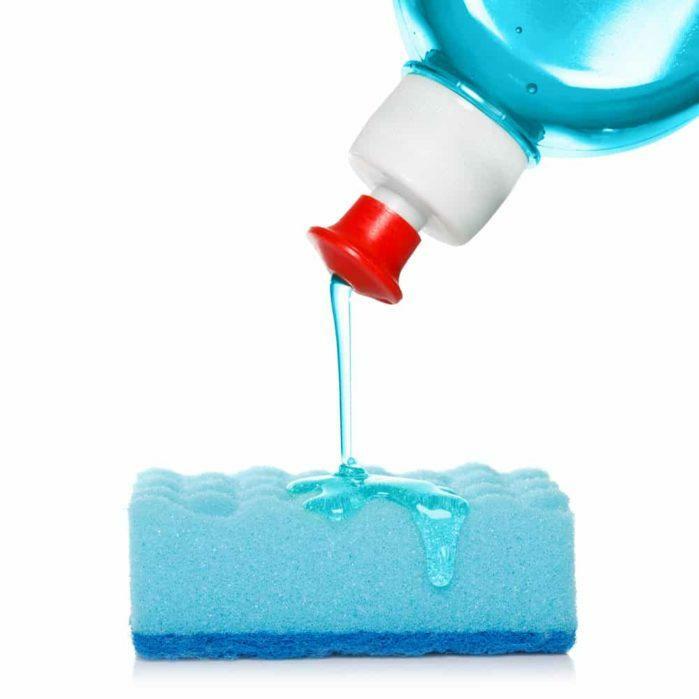 There is no need for thorough scrubbing either, as the cover features a non-stick surface. Of course, you can guarantee that it doesn't emit any chemical substances either. One thing that compels a lot of people in getting this item is that you can apply it near the burner. Each of the liners can endure up to 500 degrees Fahrenheit of heat. You can also place it safely to as close as 1/2 inches from the flame. However, just take note that this cover is not a custom-fit product. Therefore, you might need to cut it before it can fit your burner. Moreover, it is not as thick as you expect it to be. But other than these drawbacks, the cover is already great! In conclusion, all things considered, the above methods are effective in dealing with stove grate. It is however important to first and foremost asses the amount of grate and food/grease spills prior to settling on cleaning method. The extent and amount of grate will typically dictate the method you will use. Older thicker stains demand the use of stronger dirt dissolving solvents such as ammonia. After you’re done, the stains and unpleasant aromas will be gone; hopefully. In addition, there are a number of products that can keep stove grates clean. My aunt was very satisfied with this product. You can find them on Amazon, with the keyword "gas stove burner covers"﻿. If you want a good stove burner cover to check first, just look up for the KESWON Gas Stove Burner Cover. It is a great protective liner that can ensure that your stove will still be pristine after cooking a lot of dishes and recipes! I do sincerely hope that this article has been as educative as it was enriching. You can now confidently tackle those notorious grate stains on your kitchen stove. Cleaning dirty grate ridden stoves should be a simple DIY task devoid of problems. Kindly share your comments, thoughts and suggestions in the space provided below. All the best!